Not happy with your current pool service? Have you bought a house that came with a pool? Or have you built a new one? Never owned a pool before and not sure what’s what? When Bob comes for your pool service estimate, he will give you a “tour” of your own pool. He offers a free on-site pool maintenance consultation that can help you understand how all the mechanicals work, how to handle overflow, troubleshoot your whirlpool or Jacuzzi. Even if you don’t hire Bob for your regular weekly pool service, you’ll start off with the knowledge you need to have a healthy and clean pool. Give him a try: 805-338-0790. We moved to California from the East Coast and didn’t know the first thing about owning a pool. Bob showed us how it all worked and then he kept it in excellent condition with his weekly visits. Thanks for making us happy pool owners! What does your pool look like after a Santa Ana wind hits it? Not pretty, I’m guessing. 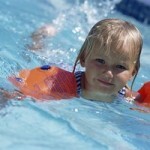 Call me 805-338-0790 for a free estimate on cleaning up the mess and keeping your pool swimming ready all year long.